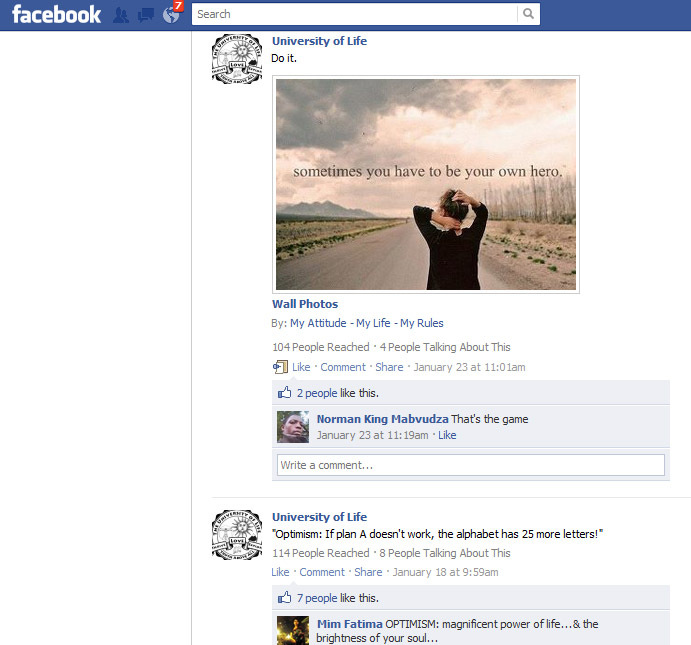 Visit facebook.com/UofLIFE for the greatest quotes posted by our friends. Like us (you can also click “Like” in the upper right corner of UofLIFE.com) so you will never miss out on the next great insight! Once you’ve liked us, you can even share your best quotes!